Scott and Venus Andersen will welcome visitors to Shirley’s House their bed and breakfast that they purchased about a year and a half ago. The home of Paul and Kay Huffman. The home of Richard and Debby Neu. The home of Alan and Jessica Wise. It is time for the 14th-annual Christmas Tour of Homes hosted by the Greenfield Historical Society. The tour will be held from 12:30 to 4:30 p.m. Sunday, Dec. 2 and will feature four homes, a church and the B&O Railroad Depot. A chicken noodle dinner will precede the tour at the Grain and Hay Building from 11:30 a.m. to 1 p.m. The cost of the meal is $10 and includes chicken and noodles, mashed potatoes, green beans, slaw, roll and butter, drink and a choice of cakes. The church featured this year is the Church of Christ in Christian Union at 503 McClain Ave. It was the first of the evangelical churches in Greenfield. The Churches of Christ in Christian Union broke away from the Methodist Episcopal Church and were organized under the leadership of James H. McKibben on Sept. 29, 1909 with headquarters established in Washington C.H., Ohio. By 1912, 40 churches were established with Greenfield being one of them. The Churches of Christ in Christian Union’s activities included camp meetings and evangelistic campaigns focused on Ohio. Many pastors have graced the doors at the church, delivering a message well received by large crowds. The records of 1920, the oldest available, shows the Rev. C. J. Ferneau was the pastor. The present one is Pastor Roger Newkirk who served in Greenfield from 1987-93 and then returned again in 2005 until now. There have been numerous changes made to the church beginning with the change from pot belly stoves and kerosene lighting to gas furnaces and electric lights. A basement for the youth classroom was dug out in the 1950s and was paid for with pledges and dime folders. The steeple was removed at some time. The congregation welcomes you to come and visit with them during the tour. The first house featured will be at 617 North St., the home of Alan and Jessica Wise. It was built in 1900 and moved from the McClain football field to its current location in the 1920s. There have been three families who have made this their home. The Wise family has lived there for 27 years. As parents of school age children when they moved in, the close proximity to the school was one of the most appealing attributes of the home. The decorations throughout the house are reflective of a rural heritage inspired by the Savior’s birth. “We have been blessed with a comfortable place to hang our hats that our family can come back to and feel right at home,” Jessica Wise said. The second house is the home of Richard and Debby Neu at 724 Madison Place. They began building the home in the summer of 1996. The house was completed in March of 1997. They moved from a two-story older home with three bedrooms and only one bath where they raised three boys. 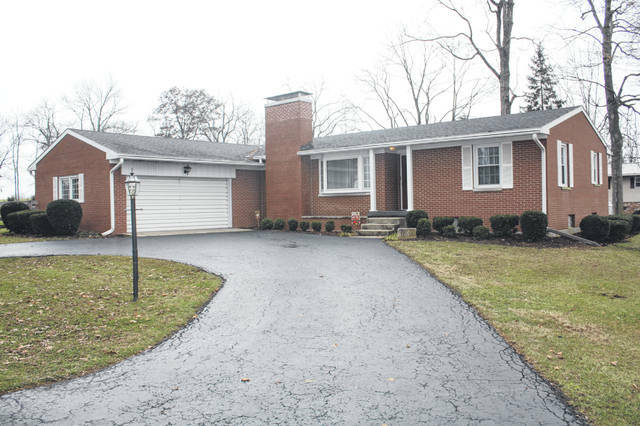 This home features three bedrooms, three bathrooms and a finished basement for just the two of them. Richard and Debby were quite involved in completing their home including pulling electrical wires to staining all the solid wood doors and trim. Debby considers her personal preference when decorating their home as more transitional or whatever she likes at the moment. Their home has vaulted ceilings and lots of windows to brighten it. She loves decorating for Christmas and usually has a tree in every room. Each tree has a different theme and will be available for viewing during the tour. The Neus start their holiday decorating the first of November so they have plenty of time to enjoy the Christmas season with their children, grandchildren and other family members. It is a gathering place for the family to reflect on their many blessings while creating lasting memories. The home of Paul and Kay Huffman at 1029 Grandview Ave. is the third home. It was built in 1938, with a large addition added in 1999 and a small remodel in 2015. The home has a modern country style decor. The Huffmans truly love Christmas and that will be seen in the many rooms decorated from top to bottom with a variety of Christmas trees, snowmen and Santas. The highlight of the tour will be the large Christmas village featuring 150 houses, an old carnival and a working train. Also in the village is Elvis Presley’s Graceland mansion and the Heartbreak Hotel. 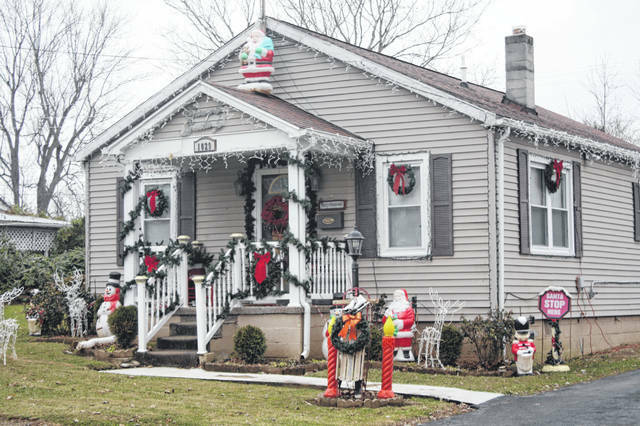 The home has also won the Edgewood Manor outdoor decorating contest two times. Family and friends enjoy coming to visit and share stories of fun times in the home. Scott and Venus Andersen will welcome visitors to Shirley’s House at 11654 SR 41 north. It is a bed and breakfast they purchased about a year and a half ago. It has been hosting visitors since March. It sits in front of their home and they will be having people pull through the gates and park in their grass the day of the tour. The home was built in 1962. Venus loves the uncluttered feel of the home and enjoys the ping pong table in the basement. Her favorite room is the sun room because of the calming views. It is a comfortable place to stay while visiting in the Greenfield area. They will have a train layout with a village for viewing during the tour in the sun room. Finally, the B & O Depot will be open for visitors. The depot displays were reorganized in 2016 with the addition of Tom Adams’ model railroad display. He has made scale models of some of the Greenfield buildings and homes during the 1920s along with the railroad tracks and depots. In October of 2017, he added new additions of downtown stores of Greenfield in the 1950s and ‘60’s. This year he has included his model of McClain High School. The tickets are $10 for the tour and are available at Community Savings Bank through noon on Dec. 1. Tickets will also be available the day of the tour at the Grain and Hay building and at the homes. Also, if you need gifts for Christmas, the historical society has many ideas available including its book on McClain High School available at the Grain and Hay building. Information for this story was provided by Harold Schmidt, Greenfield Historical Society. 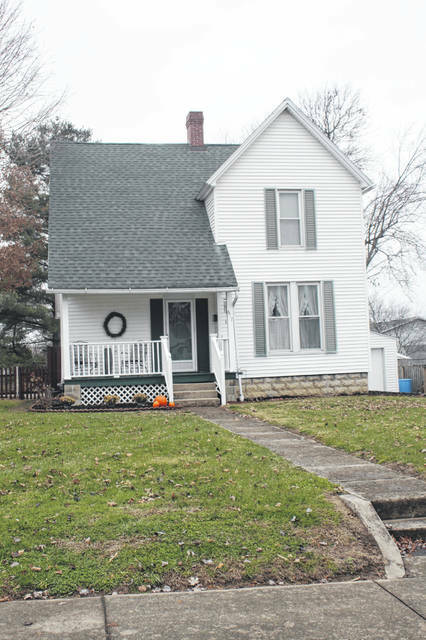 https://www.recordherald.com/wp-content/uploads/sites/27/2018/11/web1_Shirleys-House.jpgScott and Venus Andersen will welcome visitors to Shirley’s House their bed and breakfast that they purchased about a year and a half ago. 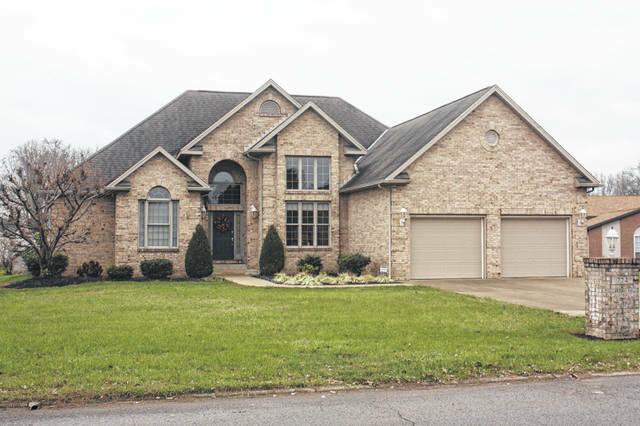 https://www.recordherald.com/wp-content/uploads/sites/27/2018/11/web1_The-Huffman-home.jpgThe home of Paul and Kay Huffman. https://www.recordherald.com/wp-content/uploads/sites/27/2018/11/web1_The-Neu-home.jpgThe home of Richard and Debby Neu. https://www.recordherald.com/wp-content/uploads/sites/27/2018/11/web1_The-Wise-home.jpgThe home of Alan and Jessica Wise.